I have babysat for 10 years. 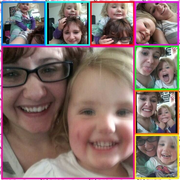 I have 2 adorable nieces that I have taken care of and I love them a lot. I love kids! They make my day! Don't hesitate to contact me. Thank you and enjoy your day!